Making a drastic hair color change is something a lot of people dream of doing, but not as many follow through. Gordon Salon wants to change that. In some cases, it is as easy as picking a color and letting it sit. More often, especially when the desired look is very specific or far from their natural color, It can be a tricky process, depending on how drastic the change is and what the ideal end goal looks like, but making someone feel truly like themselves is always worth it. Transforming your hair in any manner often requires a decent amount of time as well as trust in your stylist. Alexis, a Master Stylist at Gordon Salon in Wilmette loves to show off her talent with all types of color transformations. Every hair transformation is different from the next. They all require a unique process with several steps. Taking hair from one color to the next is like “solving a puzzle.” Alexis describes her love for transformations because “the process keeps me on my toes and thinking.” As mentioned previously, in order to pull off drastic change the stylist needs quite of bit of time with the client in the chair. Spending several hours in one day with one client adds to the fun, because it makes the experience that much more interpersonal. Getting to know your client personally is one of the keys to success for the stylist. Understanding who they are and what they want helps our professional colorists create an individual Aveda formula just for that client. Alexis comments, “The longer I have with a guest, the better the color. I really try to tailor the ‘perfect color’ just for them, and how could you do that if you don’t know anything about them?”. When formulating the ideal color for each individual client, stylists at Gordon Salon know how important it is to consider all factors. Although many guests like to stick to the trends of the season, for example finding their “fall color,” it important to also consider that person’s unique qualities when mixing their color. From their skin tone, to eye color, to their personality, it is important to consider everything when it comes to finding the client’s perfect hair color that matches their personality with their desired look. 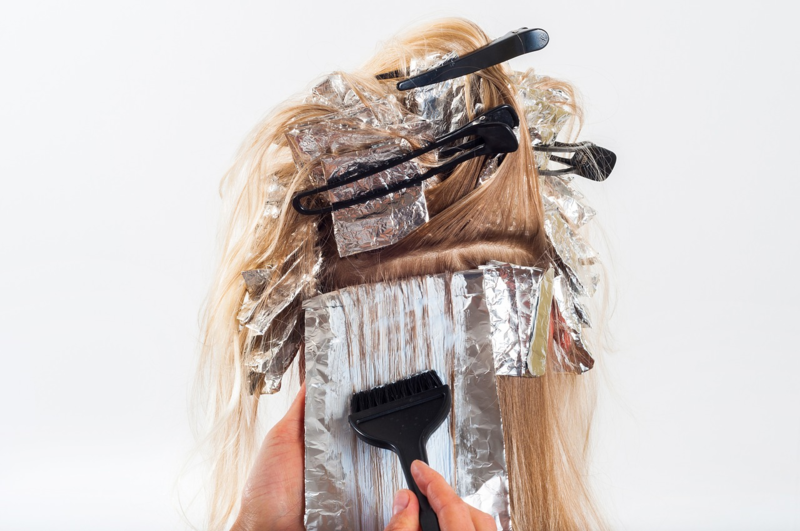 One of the most crucial things to consider when changing a client’s color is dimension. For example, If the end goal is a natural look, the dimension should be subtle. If the client prefers a bolder look, creating more dimension is the way to go. If you are wanting to change up your look, make sure to discuss all of these factors during your consultation with your stylist. You can never give too much information when it comes to telling your stylist what you want. You and your stylist can work together to find your perfect new color by considering everything from your natural skin tone to your personal flare. Be prepared for a lengthy process, but get comfortable because Gordon Salon Stylists like Alexis will make it a fun ride. Click here to watch Alexis transform some colors on our Instagram page!